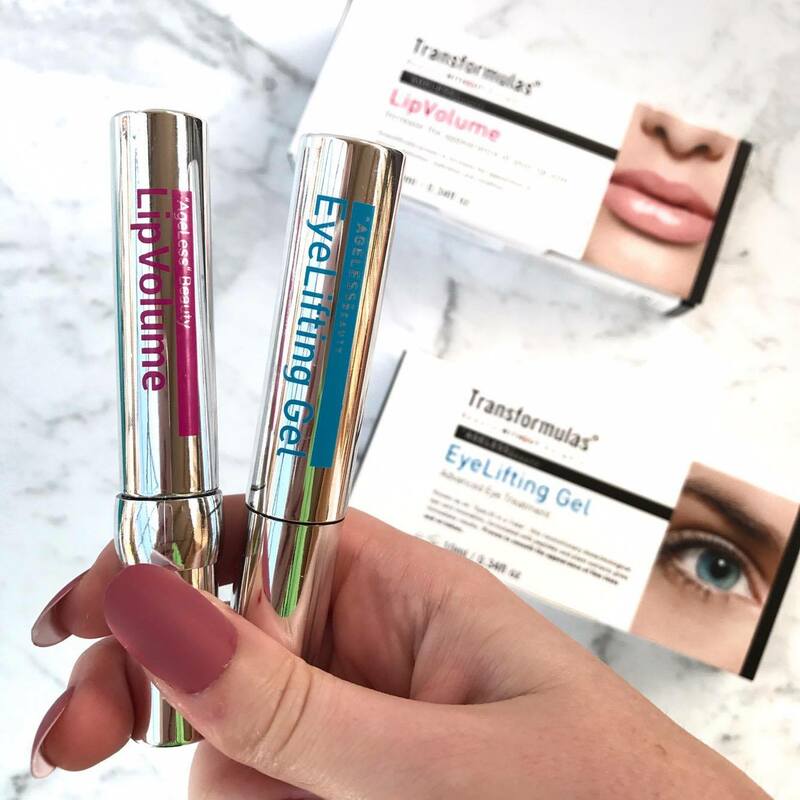 I recently received some Transformulas products to test out and I was super excited to try them out due to their amazing claims and the rave reviews I have read online. 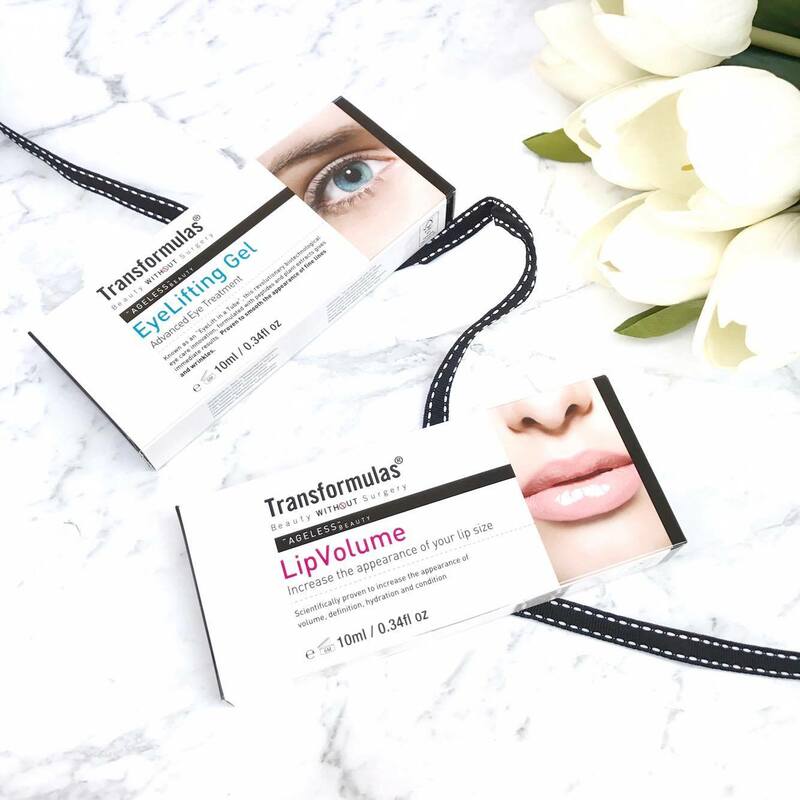 Transformula products aim to enhance your beauty without surgery! If you have been considering surgery but want to see if there is a skincare product that could delay you booking in to get work done, keep on reading. Lip Volume locks in moisture, stimulating lips and boosting the natural collagen for bigger more beautiful lips. Lip Volume is affordable, needle-free and award winning with a unique formulation that works quickly to plump up and re hydrate your lips. Original Ice Cool not only looks but smells beautiful; a perfect pout with minty freshness. As we get older, glycosaminoglycane production slows down and causes sagging and loss of firmness in the lips. No need to worry as Lip Volume's active lipopeptides stimulates the regeneration of tissue and works as a lip plumper helping to increase the collagen in your lips! And thanks to an exciting scientific breakthrough in lipopeptides, the effects can begin immediately! This lip plumper applies like a gloss and can be used on its own or over the top of a lipstick. I found that it gave my lips a subtle plumping effect whenever I applied it, and made me feel minty fresh! It seemed to reduce the lines in my lips and give them a fuller look. I however am a very sensitive person, and don't really enjoy the tingling sensation it gives as it works its magic. If you don't mind a subtle tingling and want a visible boost in your lip volume, I recommend this. Called an 'eyelift in a tube', this eyelifting gel contains a combination of plant extracts and hydroxypropyl cyclodextrin (peptides). These peptides form a thin film over the skin to lock in moisture, smooth out fine lines and improve elasticity. This is called phytodermina lifting and the immediate results help tighten eye bags, smooth-out fine lines and puffiness - restoring eyes to a firmer, fresher, brighter and more radiant, youthful appearance. At last you can enjoy a semi-permanent alternative to surgery that gives fantastic results, in minutes, with no high cost or drastic measures. I enjoy using this gel serum each night before bed. I love that it comes in a tube similar to a mascara as it makes application supper easy and fun. As I don't have deep wrinkles I can't comment on the effect this would have on those, but I have several fine lines around my eyes that have diminished with nightly use of this product. That is so exciting to me and basically earns this guy a space in my permanent nightly routine. I also love how soothing and calming this gel is around my eyes, and how it has a firming effect. I love how unique both of these products are and how easily they can be incorporated into anyone's routine. I recommend both of these Transformulas products as I find they really do what they claim! To purchase these products, head to your local Priceline. I love the Lip Volume, I haven't noticed it making my lips look any bigger, but it is so hydrating and feels so nice on the skin!! I want to try that Eyelifting Gel now!